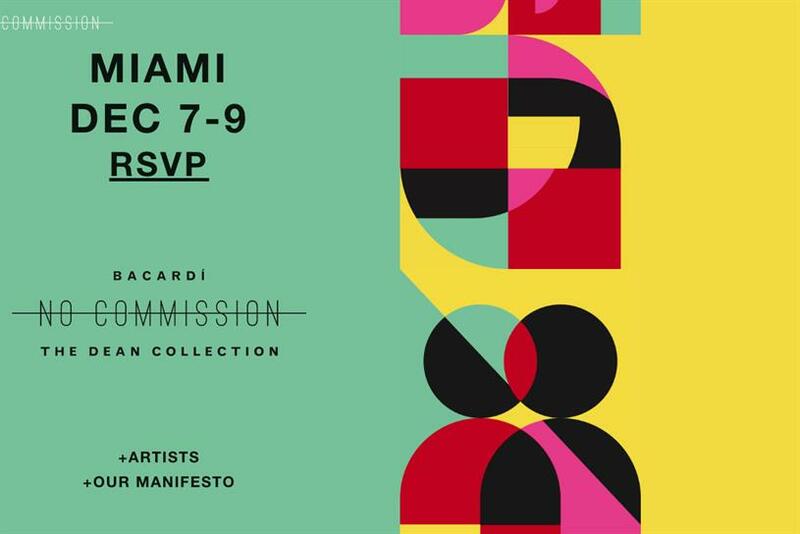 Swizz Beatz's art exhibition, which is supported by Bacardi, is returning to Miami after a two-year tour around the world. "No commission" will focus on emerging and established artists from North America and the Carribbean who will "illustrate a vision of the future linked to scrutiny of the past". It has so far raised $3m for artists and aims to be a "cultural experience that celebrates the fusion of sonic and visual art". The initiative is a move to support new and established artists with 100% of the proceeds retained by them. The event, which takes place from 7 until 9 December, has been in New York, London, Shanghai and Berlin. It will be at the Soho Studios in the Wynwood area in Miami. It has been organised by the Dean Collection. Bacardi owns brands including Grey Goose, Bombay Saphire, Martini and its namesake.